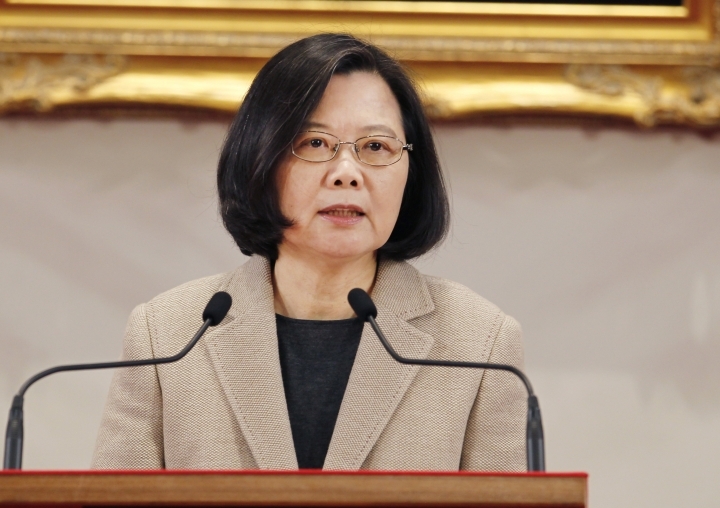 BEIJING — Taiwan President Tsai Ing-wen left Thursday on a tour of diplomatic allies in the Pacific that will end with a stopover in Hawaii. Tsai will visit Palau, Nauru and the Marshall Islands, Taiwan's official Central News Agency reported. Only 17 mainly small, developing countries still recognize Taiwan as a sovereign nation. The island split from mainland China amid a civil war in 1949. Beijing has recently ratcheted up its rhetoric around "re-unifying" Taiwan with Communist Party-ruled mainland China. China is particularly sensitive to cooperation between Taiwan and the U.S. When the latter approved the sale of $330 million of military equipment to Taiwan last September, China warned of "severe damage" to bilateral relations. China's foreign ministry said Thursday that it has complained to the U.S. about Tsai's Hawaii stopover, mirroring its action toward a similar trip in 2017. "Any attempt to create 'two Chinas' or 'one China, one Taiwan,' will be opposed by all Chinese people," ministry spokesman Geng Shuang said at a daily briefing. "We urge the U.S. to abide by the 'one China' principle ... and to not grant a stopover for Tsai Ing-wen, and to not send wrong messages to Taiwan independence forces." 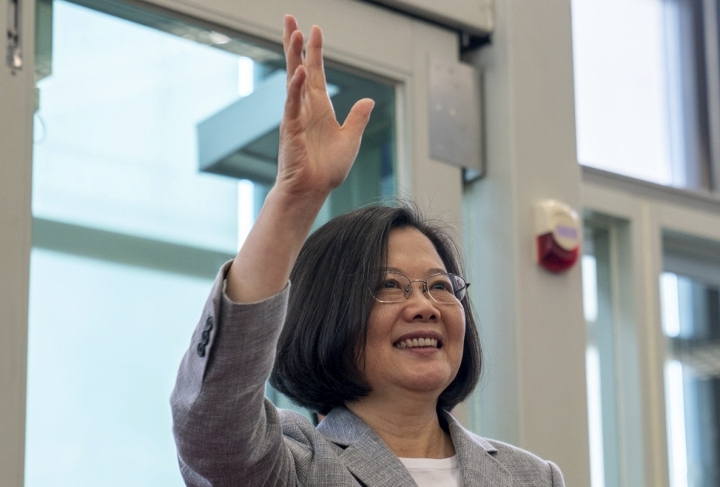 Tsai's trip coincides with a visit to mainland China by Kaohsiung Mayor Han Kuo-yu, whose election last November ended 20 years of rule by Tsai's independence-leaning Democratic Progressive Party in the southern Taiwan port city. The DPP lost significant representation to the Nationalists, Han's party, in the local races, raising doubts about Tsai's prospects for re-election in 2020. Han has said Taiwan should be more open to peace negotiations with China, in contrast to Tsai, who has dismissed Beijing's overtures.